Keno just turned 2, so she will be soon be OFA certified. 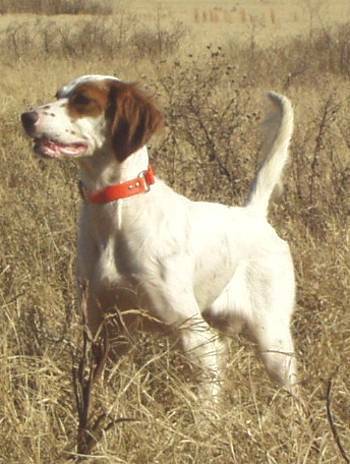 Keno is our pick pup out of Fancy (UKC-CH Trinity's Kiss My Grits JH TT) and Duke (FC AFC Pointe Blanc's Rusty Miracle). She has developed into a stunning young dog with amazing movement. She is a serious dog with a strong work ethic. Her stunning good looks and keen desire for birds are exactly what we wanted when we produced this litter. 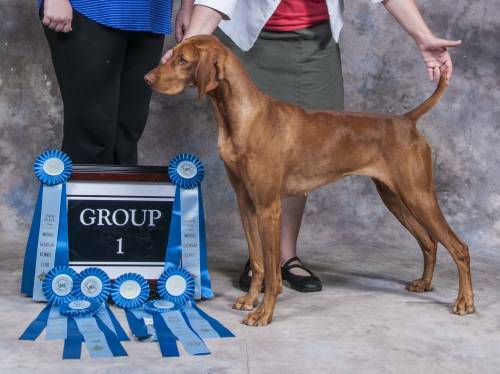 Many "thank yous" go to the UKC judges who recognized her quality and allowed her the opportunity of 8 back-to-back Group 1 Gun Dog placements at the Labor Day Extravaganza in 2012. Thank you also to AKC Judge William Geshwiler for recognizing this quality young dog and giving her a Bred-By-Exhibitor Group 1 placement.